11036 Features: -Includes a camera control feature and shutter release cable that allows you to remotely take a series of exposures using your digital SLR camera. -NexRemote telescope control software and RS-232 cable included for advanced control of your telescope via computer. -Specification: Power supply: 8-AA batteries (not included). 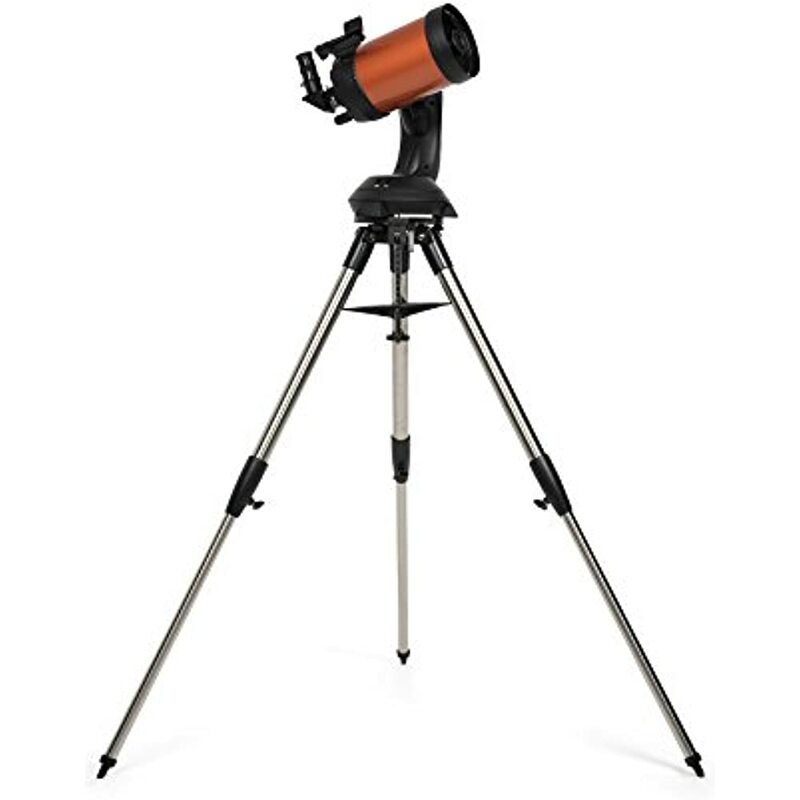 -SE combines the classic heritage of the original orange tube telescopes with the latest state-of-the-art features. Color: -Orange. Usage: -Moon/Planet. Aperture Size: -125 Millimeters. Magnification: -295. GPS Technology: -Yes. GoTo Technology: -Yes. Tripod/Base Included: -Yes. Telescope Type: -Catadioptric. Dimensions: Overall Height - Top to Bottom: -55 Inches. Overall Width - Side to Side: -38 Inches. Overall Depth - Front to Back: -13 Inches. Overall Product Weight: -27.6 Pounds. 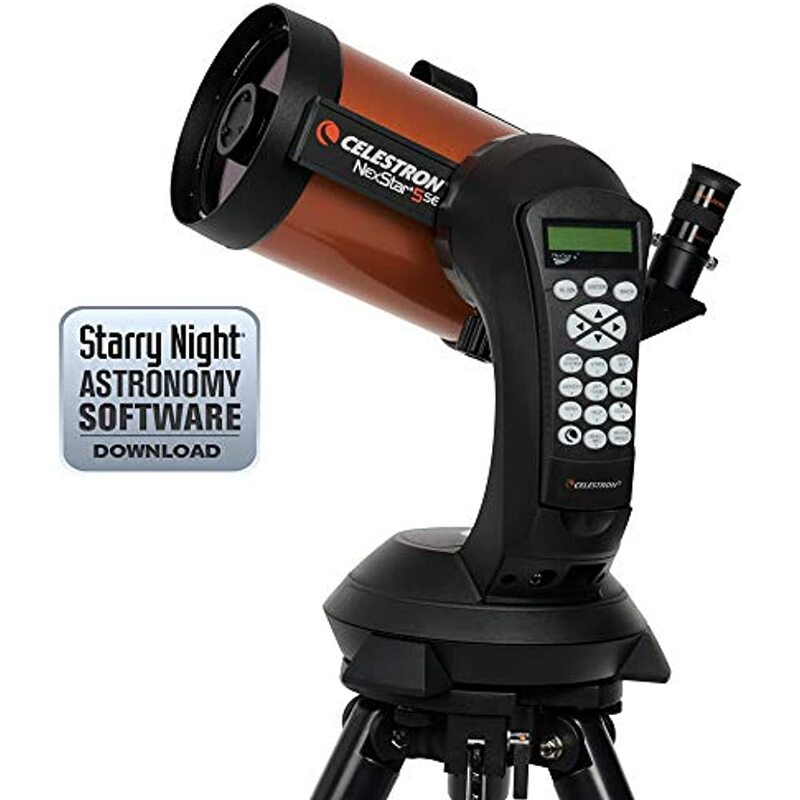 Celestron's iconic "orange tube" design is updated with all the latest features to provide the best stargazing experience for beginners and experienced observers alike. 5-inch aperture provides excellent light-gathering ability at an affordable price. 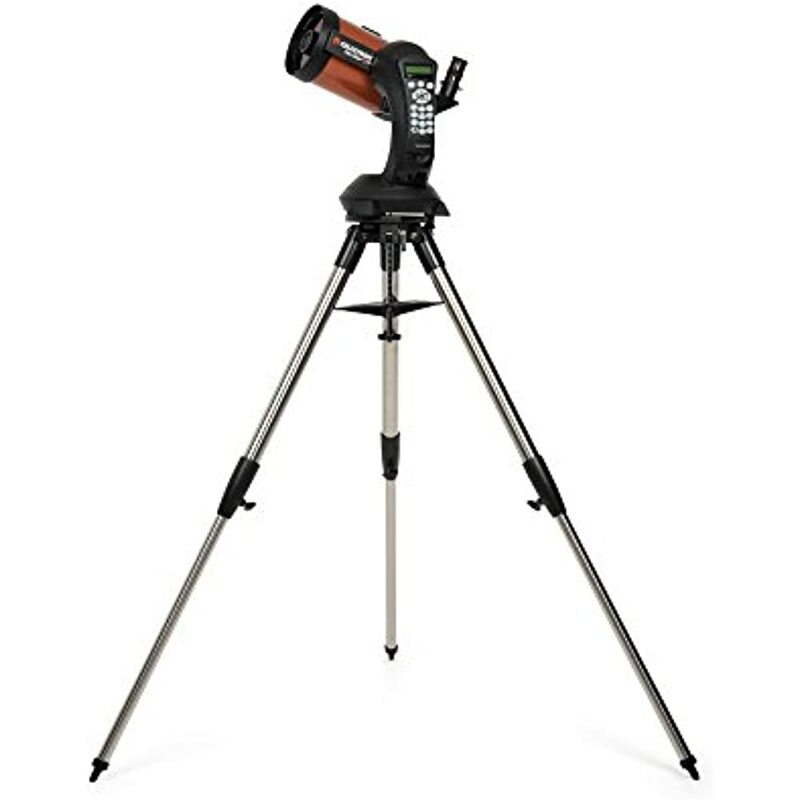 You'll get impressive views of the Moon and planets, along with deep sky objects like the Orion Nebula, while retaining a compact form factor. 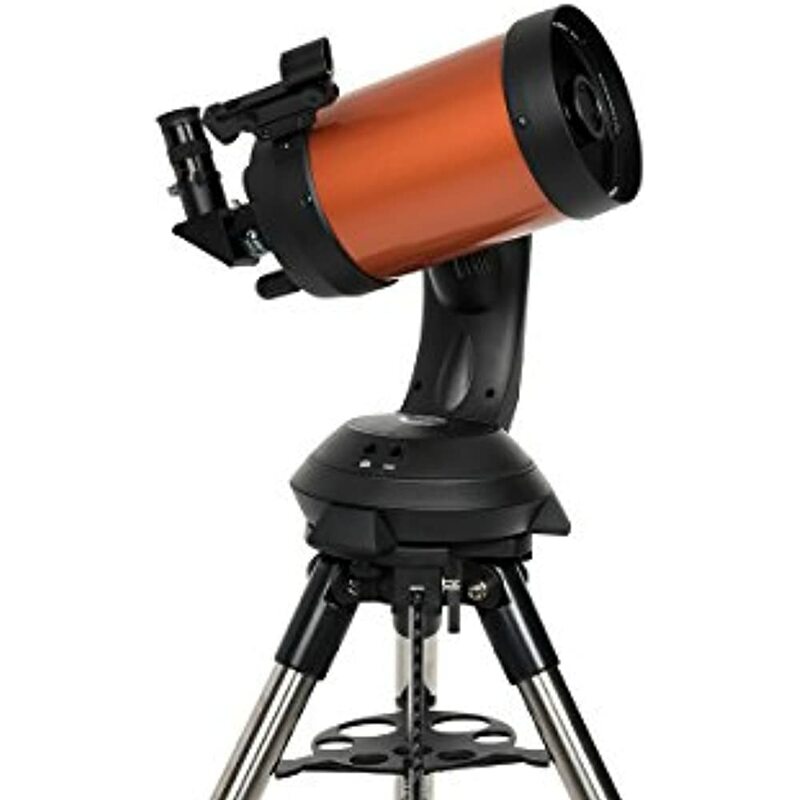 Fully automated GoTo mount with database of 40,000 celestial objects automatically locates and tracks objects for you. Dimension: 12.99 x 32.01 x 27.01 inchs., Weight: 17.6lbs.